You are here: Home » Happy Easter! Happy Easter weekend everyone. I hope you find some time to enjoy a little chocolate in your day. 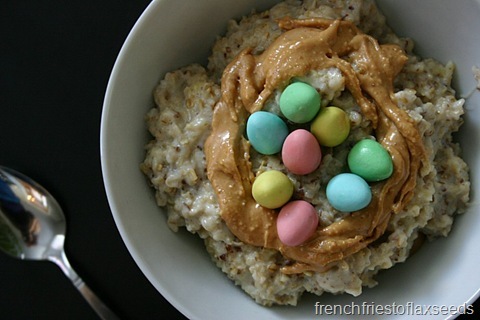 You can eat those delightful mini eggs straight up, or get a little crazy and build a nest on top of your oatmeal. It was a great way to start my Easter Sunday, seeing as I have to work tonight, and will therefore be missing my family’s Easter dinner. Such is the life of a student who has bills to pay! I did splurged on a little present for myself though. 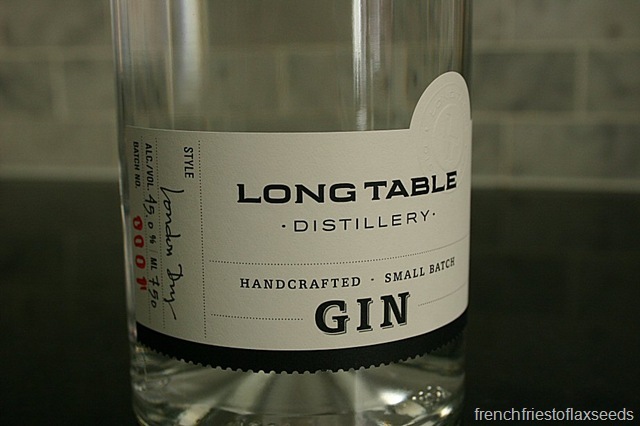 Just a little bottle of Long Table Distillery Gin to add to the collection. 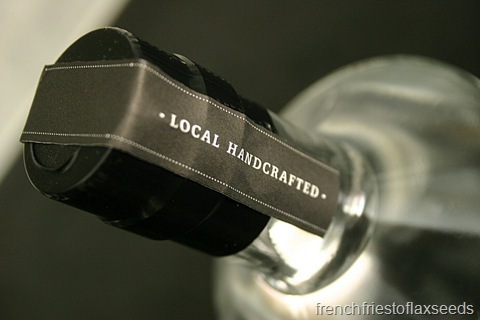 They are a brand new distillery in downtown Vancouver (I can walk to their distillery in about 15 min). I had a great conversation with the owners, and I’m looking forward to see the small batch specialty spirits they have planned. So let me live vicariously through you – what fun things are you up to this Easter weekend? 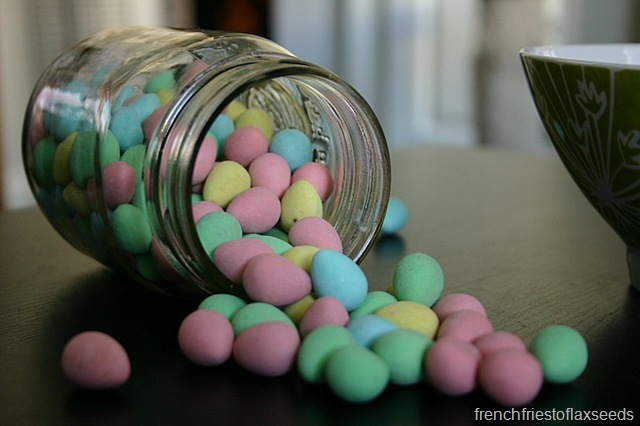 Tell me about your family traditions, favourite Easter candy, or anything else you want! OH YUM! I love you “nest” oatmeal, it looks fabulous. So, in regards to your questions on my blog; I have not froze the carrot cake bites, but I’m sure they would freeze well. In the fridge they would last about 2 weeks, or possibly longer (it’s just dried fruit and nuts, so two weeks seems reasonable, I kept some for a few weeks once and they were fine). As for me “feeling bad about what’s in my cart”, it was sort of a joke. I mean, I really don’t care what people say, or think, and often times I SHOW people when I have crap in my cart! I don’t want them to think I just eat salads all day long. I want them to know I’m human. I was really just joking in the post. 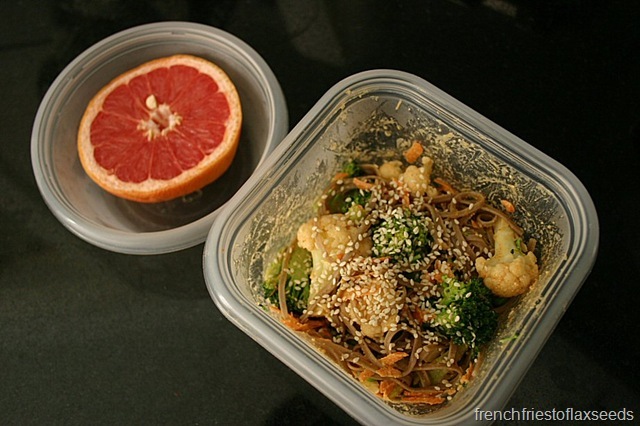 You’re right, everything fits, even ramen! Those are my very favouite chocolates!! !